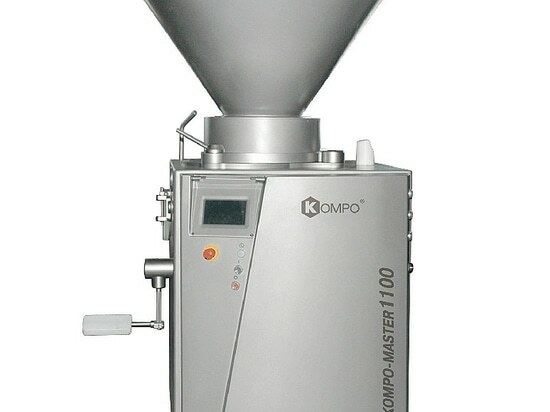 Vacuum Filler Kompo-Master - Kompo North America Inc. Stand: Kompo North America Inc. 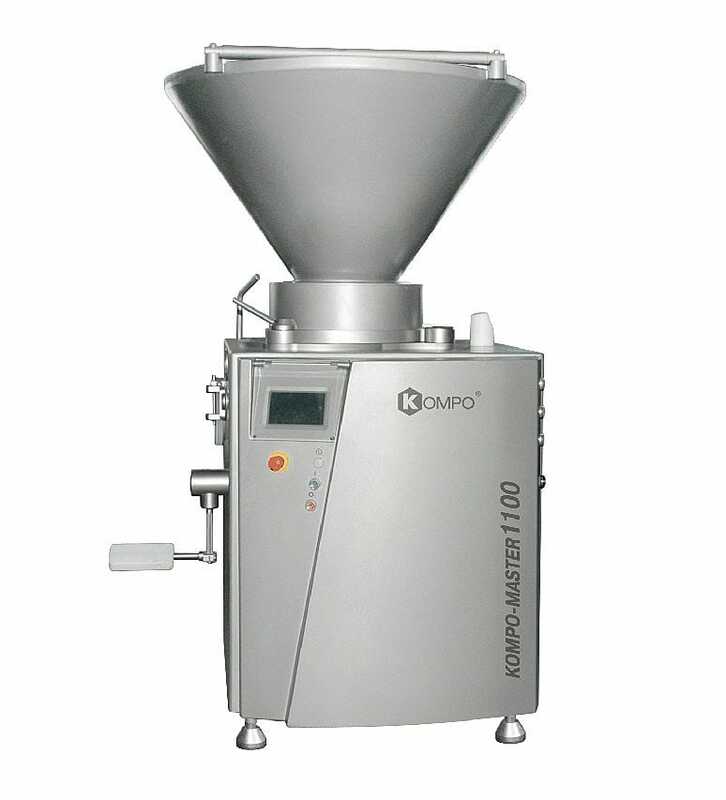 The vacuum rotor vame cell type vacuum filler КОМPО-МАSТЕR is used for accurate and careful stuffing of all types of casings with structured mincemeats with preservation of the mincemeat structure and quality. Forcemeat used in the vacuum filler may be as low as -4C. The high portioning accuracy is provided by servo and vane cell feed system as well as servo of the twisting device which raises output, guarantees accurate start and stop of the forcemeat pump. KOMPO MASTER is universal vacuum filler to produce lightly smoked, raw smoked, dry-cured, cooked-smoked sausages of premium quality. High output, no friction and crushing when pushing out mincemeat, high dosing accuracy and compatibility with all types of forcemeat results in premium class products. 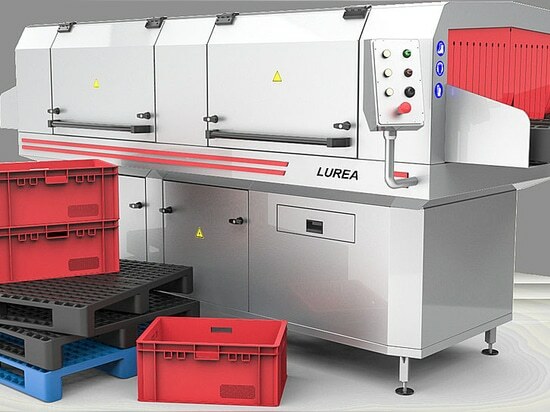 - cart for storing and washing tools and accessories.